The Zimbabwe Civil Society Organisations Scaling Up Nutrition Alliance (ZCSOSUNA), an alliance of civil society organisations working together to address malnutrition, has formed an innovative new partnership with the Zimbabwe Youth council to ensure national plans to address malnutrition respond to the experiences of children and young people. 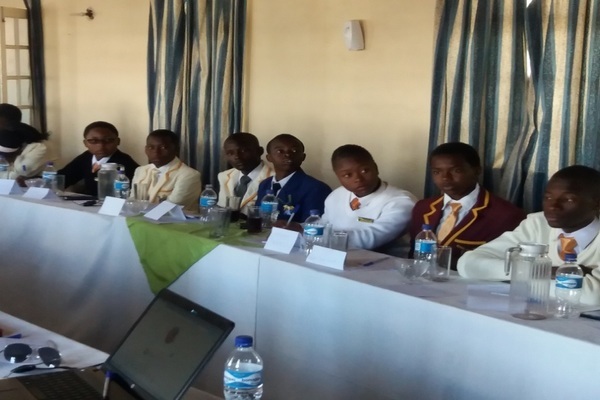 In partnership with Save the Children UK and the SUN Civil Society Alliance in Malawi, ZCSOSUNA brought together a group of junior parliamentarians in Mashonal and Central province of Zimbabwe to discuss nutrition priorities in the province and how these can be best addressed. Provincial and national budgets are one of the most important tools the government of Zimbabwe can use to address economic and social challenges affecting infants and children, including tackling malnutrition. So the meeting supported junior parliamentarians to understand and meaningfully participate in budget formulation and implementation processes. Given the closeness of junior parliamentarians to communities and their influence in addressing issues affecting children, they can play an influential role in lobbing for increased financial resource allocation to nutrition. During the meeting, Participants learnt with great shock that 1 in 4 children under the age of five years in Zimbabwe are being exposed to long episodes of poor nutrition in the first 1000 days of life, from conception up to 2 years. They were astonished to learn that stunted children are not only shorter than their expected height but are also more prone to illness and are at a greater risk of death. They were concerned to hear that stunting also impairs children’s brain development which can result in low performance in school and means children are likely not earn as much as their counterparts later in life. Low pass rates in national ordinary level examinations have been attributed to under nutrition early in life among other factors. Participants were also taught that effects of stunting are almost irreversible and can be passed from one generation to another. Though stunting effects are almost irreversible, they are preventable. Improving child participation in budget processes at sub national level influences local authorities to formulate child friendly budgets in future and in addition it ensures that budgets allocate adequate resources to fairly benefit children, including the marginalised. The Zimbabwe Youth Council which is a custodian body of junior parliamentarians promised to support junior parliamentarians in approaching the senior parliament so that their voice on nutrition is heard.